After completing their first sessions on Monday, students launched themselves into their first major/minor day on Tuesday. Art History, Drawing and Painting, Design and Build, and Photography all began their introductory meetings and progressed quickly into working on the tasks at hand. On Wednesday, the group took their first excursion of the program to the medieval city of Avignon, famous for the Palais des Papes, where the popes resided for 100 years, and the various art museums and restaurants which stretch along the Rue de la République. Students visited the Palais des Papes or the Petite Palais before having some free time for lunch and shopping. 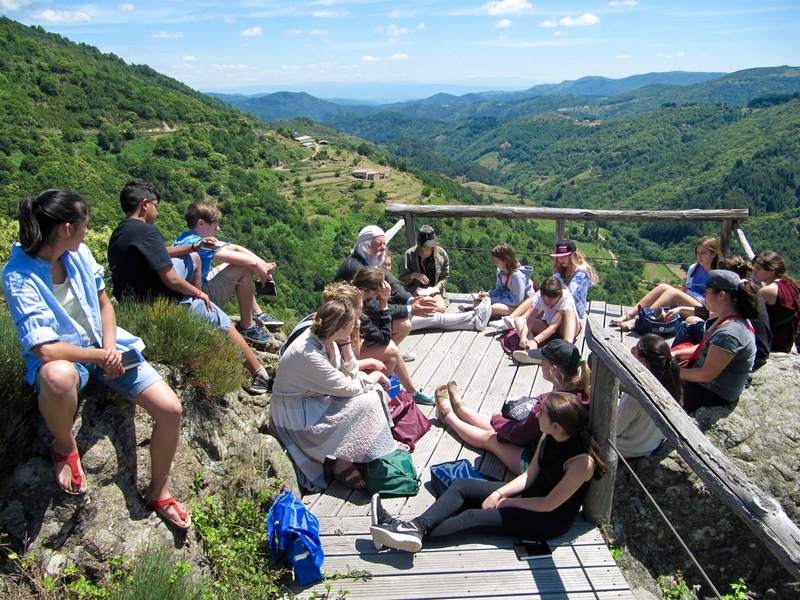 Afterwards, the group travelled to the Village des Bories, a stone village made entirely without mortar, and the Cistercian abbey of Sénanque, which is still an active monastery today! At both locations, students had the chance to draw, paint, and take photographs. The lavender fields of Sénanque were particularly gorgeous with the backdrop of the abbey itself. Over the last few days, students have continued to apply themselves ardently in both their major and minors, with the architects completing and presenting their first charrette that was judged by fellow students and the Chalecons. The first week of the program has been filled with hard work and engaging activities, which the students have met with enthusiasm and determination, producing some of the finest work the program has seen. Architects measuring for their first design projects. Barry walking through Camera Functions 101 with the photo students. Group sketching session of the Abbey. Drawing and Painting minors working on a still life. Newer PostAix, Mazan, and More!